Modeselektor in Montreal or Quebec City? Inform me about the next events for Modeselektor. Enroll yourself to our priority waiting list for Modeselektor to be alerted when new tickets are available. Filling this form doesn't engage you to any purchase. The German electronic music duo Modeselektor will be part of the MUTEK Festival in June 2011 in Montreal. The first album, Hello Mom!, was launched in 2005. The second and final album is Happy Birthday, released in 2007. 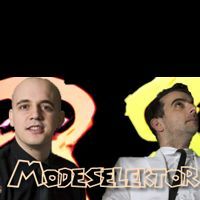 Modeselektor is composed of Gernot Bronsert and Sebastian Szarry.